Opportunity to purchase three (3) established Burger Franchises with additional territory rights included. Showing 2016 annualized revenues to exceed $2.7 Million with owner benefits of 276k. All furniture, fixtures, and equipment are included in the purchase price with generous lease agreements already in place. Purchase price of this turnkey business ist a fraction of the cost to start up. Everything is in place ready for a new motivated owner to build on this established business and grow it to its full potential. Current franchisee is selling to pursue other business ventures. 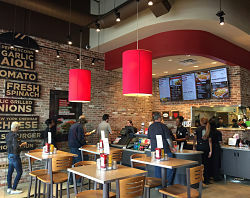 Smashburger is a leading brand in the “Better Burger” concept, designed to deliver high quality great tasting burgers and sides in fresh and modern settings. 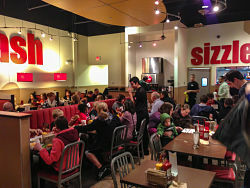 In 2007 we opened the first Smashburger with one simple notion in mind: despite the overwhelming number of restaurants serving burgers, Americans were starving for something better. And we could deliver. Our vision is to connect with America’s passion for its favorite food on a local level and in a space where “Smashed Fresh, Served Delicious” means dedication to crafting the best-tasting burger around. 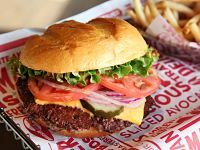 Smashburger is setting the standard among fast casual restaurants by offering an extensive menu with a local edge that includes regionalized burgers, sides and shakes, alongside hometown craft beer options. The better burger segment is a driver of growth in a mature category and have much going for them. First, there are the reasons that fast-casual concepts overall are increasingly popular—an average check lower than that of casual-dining restaurants, high-quality ingredients and fresh preparations, an appealing décor and comfortable dining area, and the flexibility to have food prepared to go. They also have the benefit of a basic and beloved menu focus. Raising the quality of the protein, bun, toppings and sides has been a winning formula. 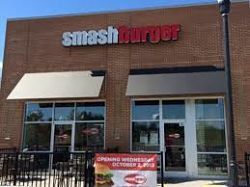 To find out more about these Smashburger franchises for Sale please fill in the form below and submit.